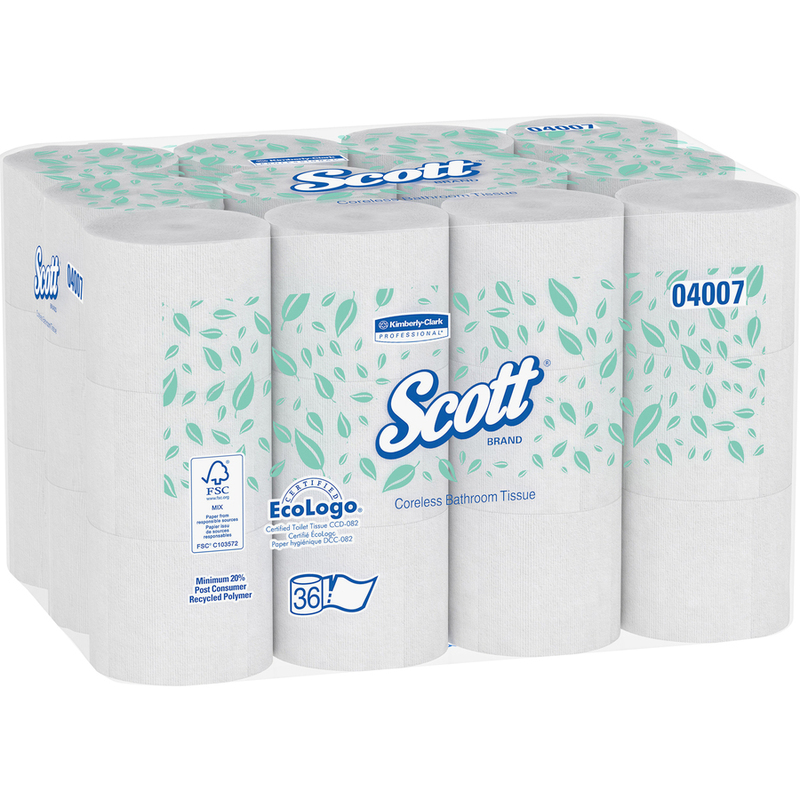 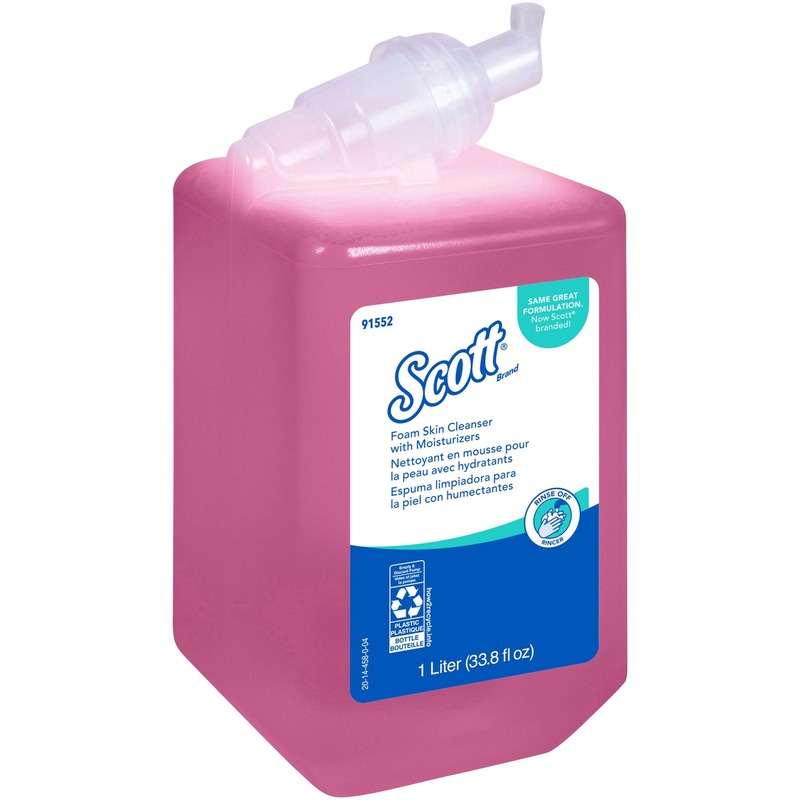 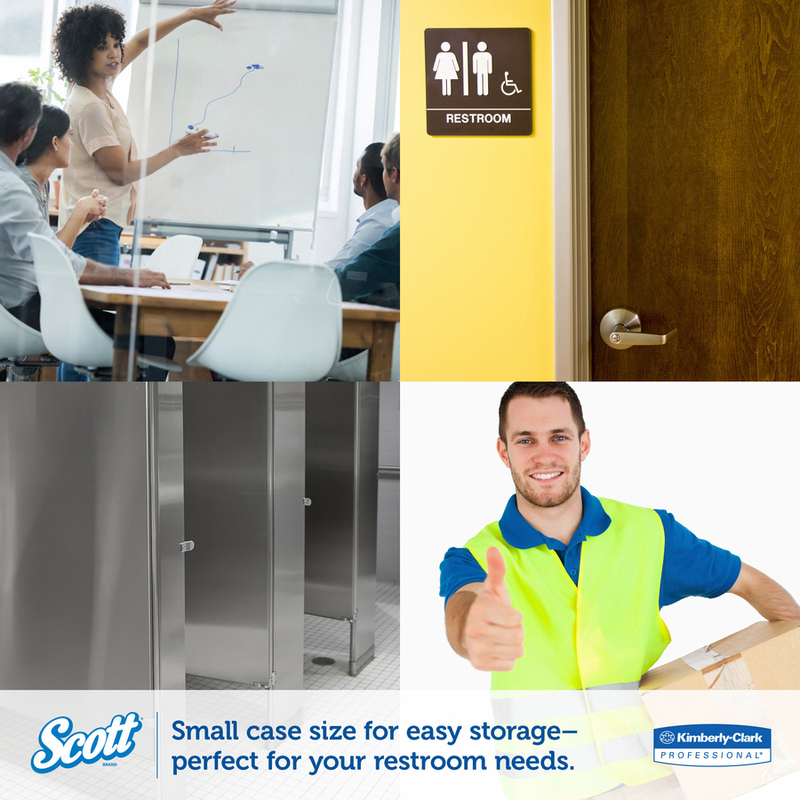 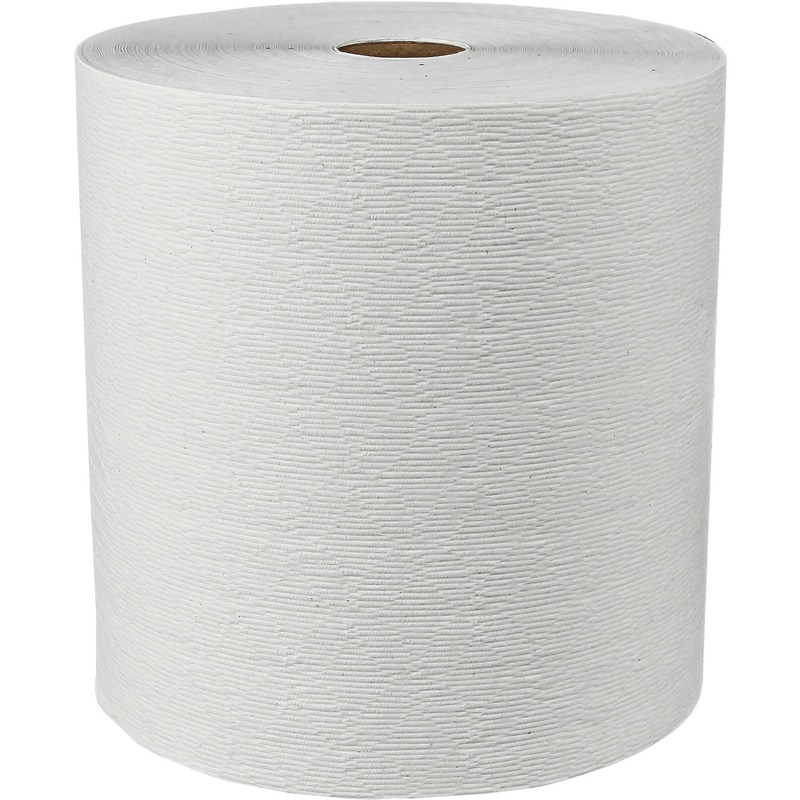 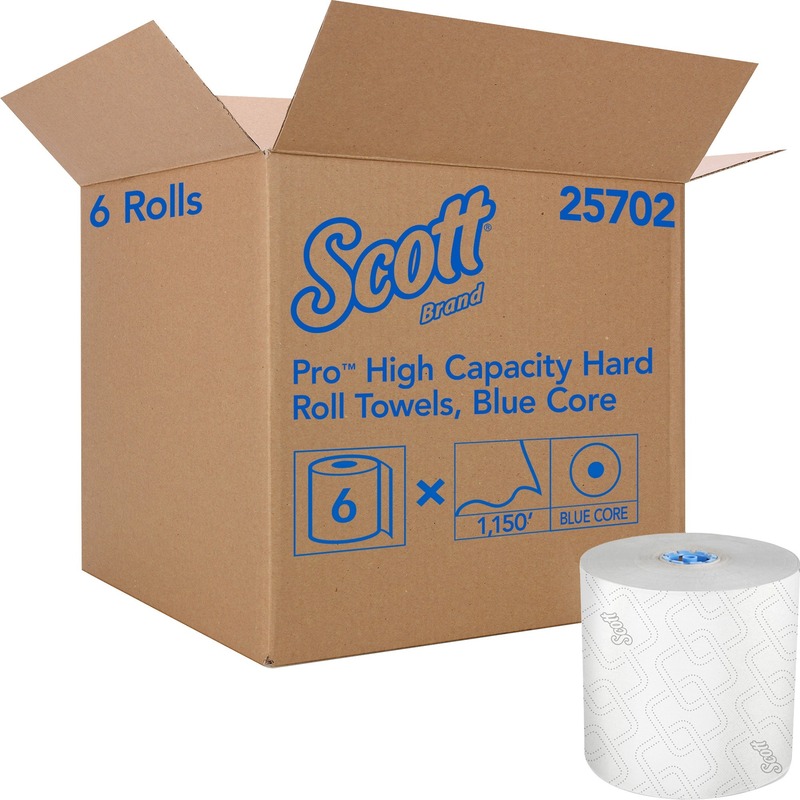 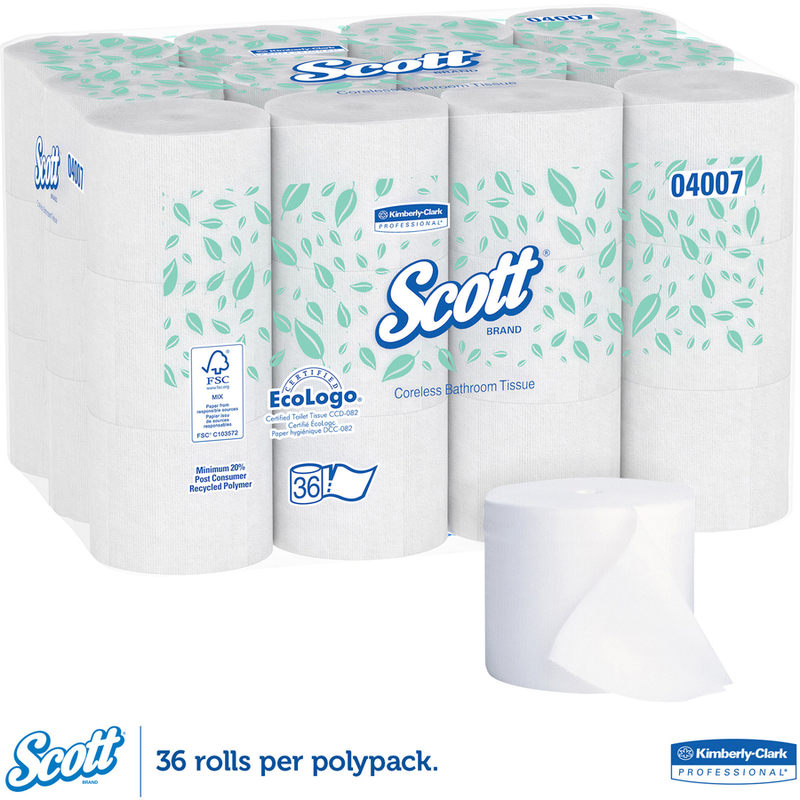 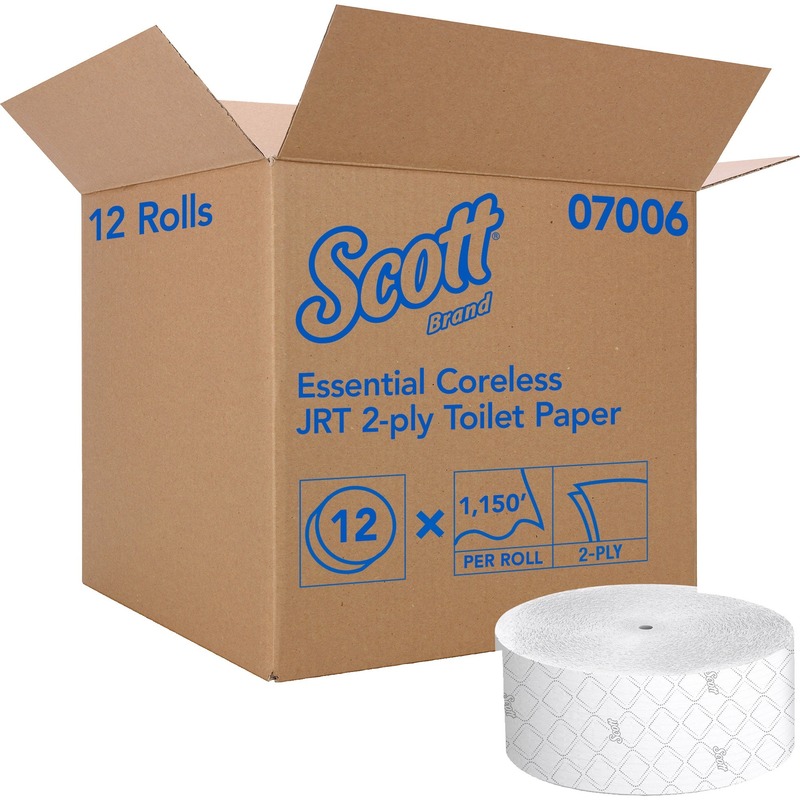 Scott Coreless Standard Roll Bathroom Tissue offers a high-capacity, easy maintenance method that results in less runouts and lower maintenance costs. 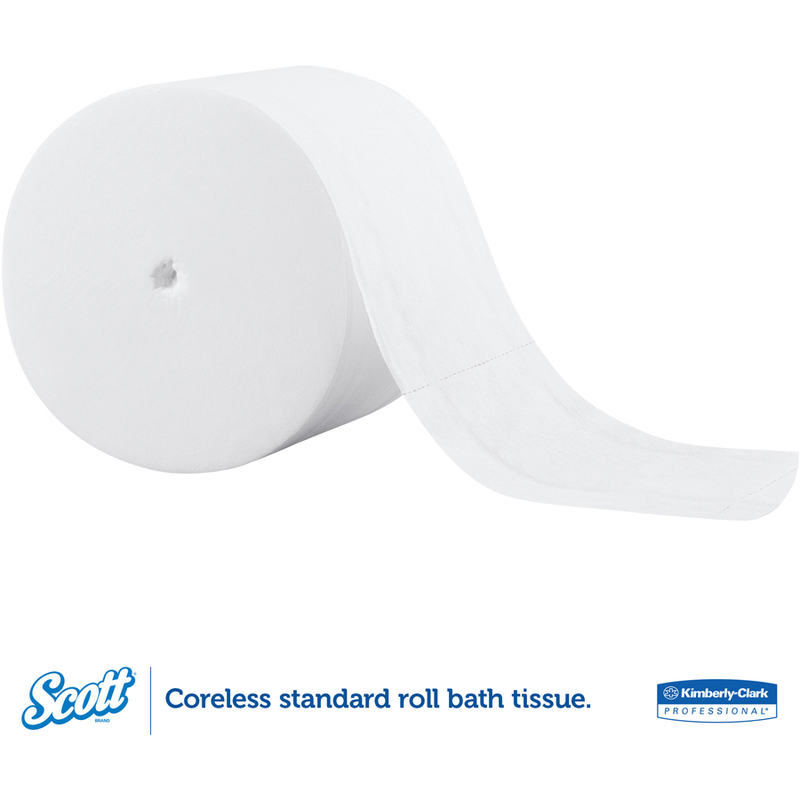 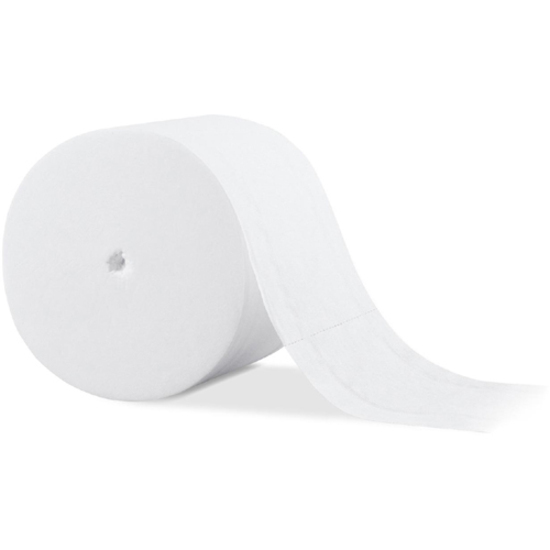 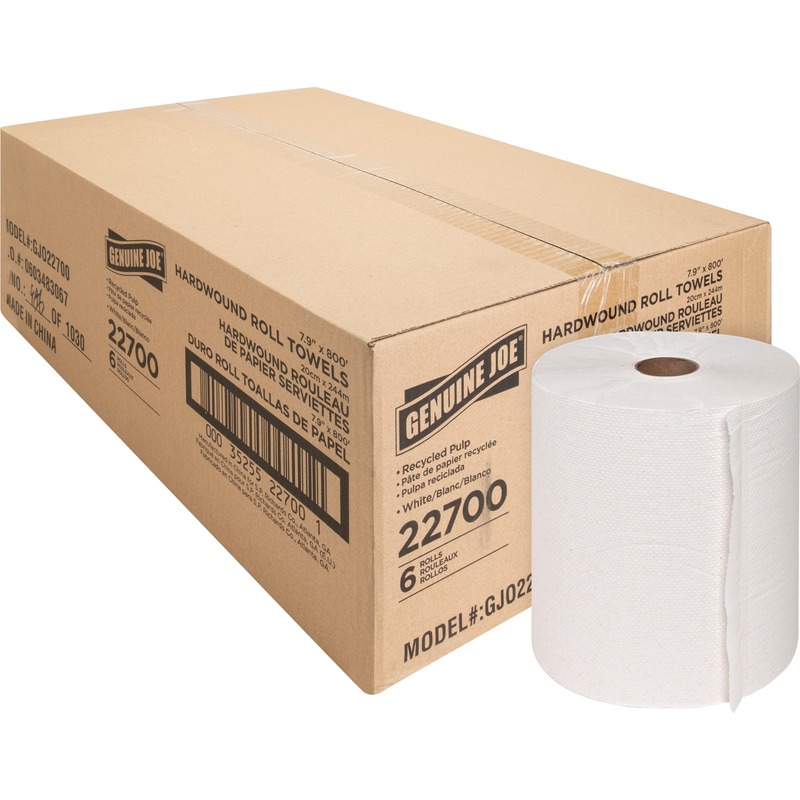 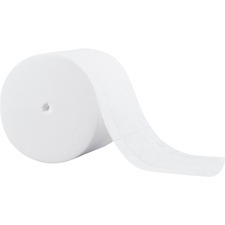 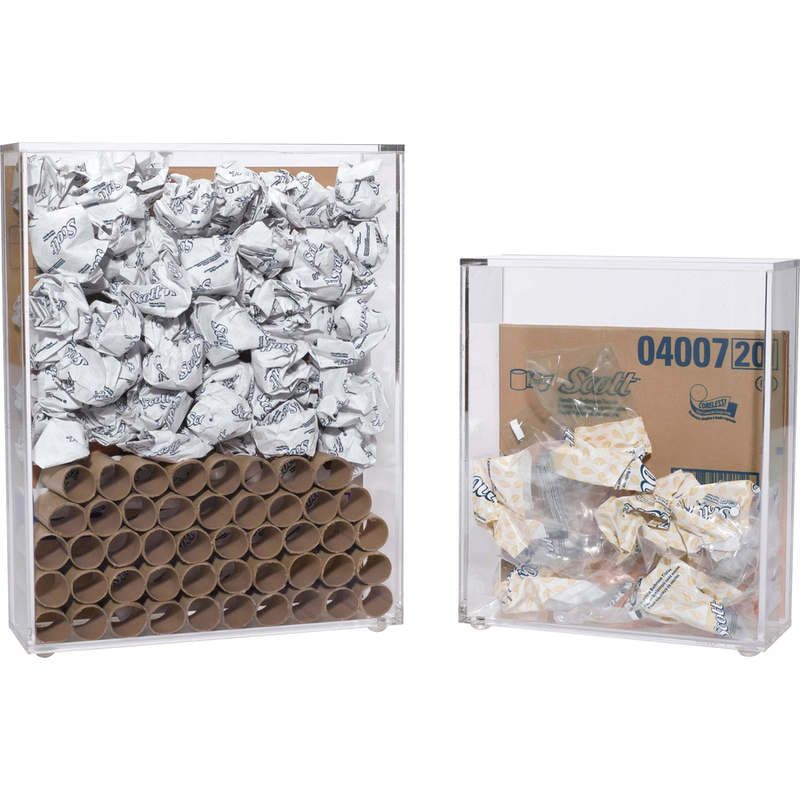 Each roll lasts nearly 75 percent longer than standard roll bath tissue. 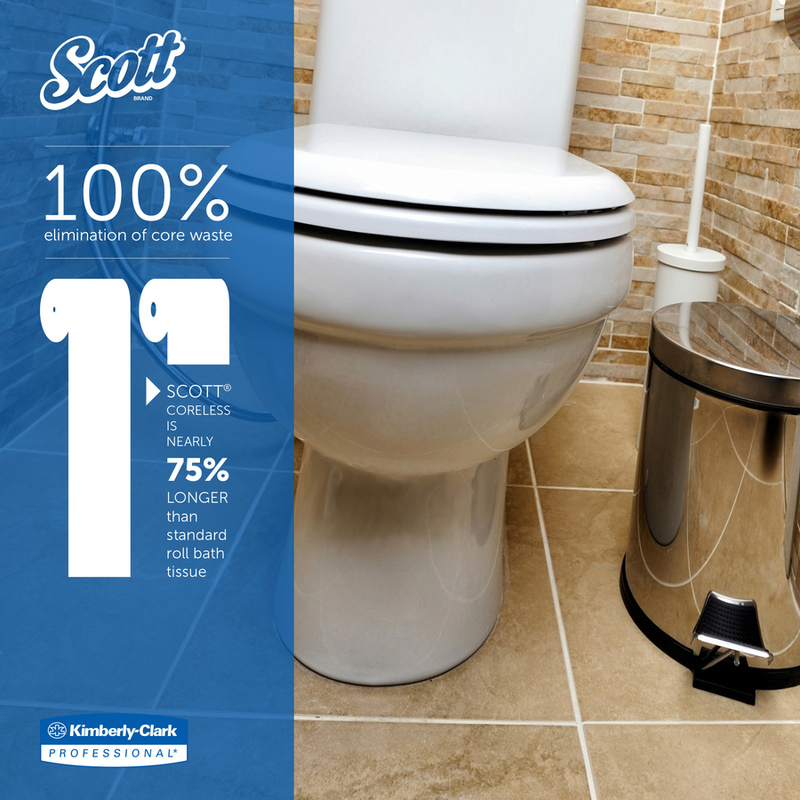 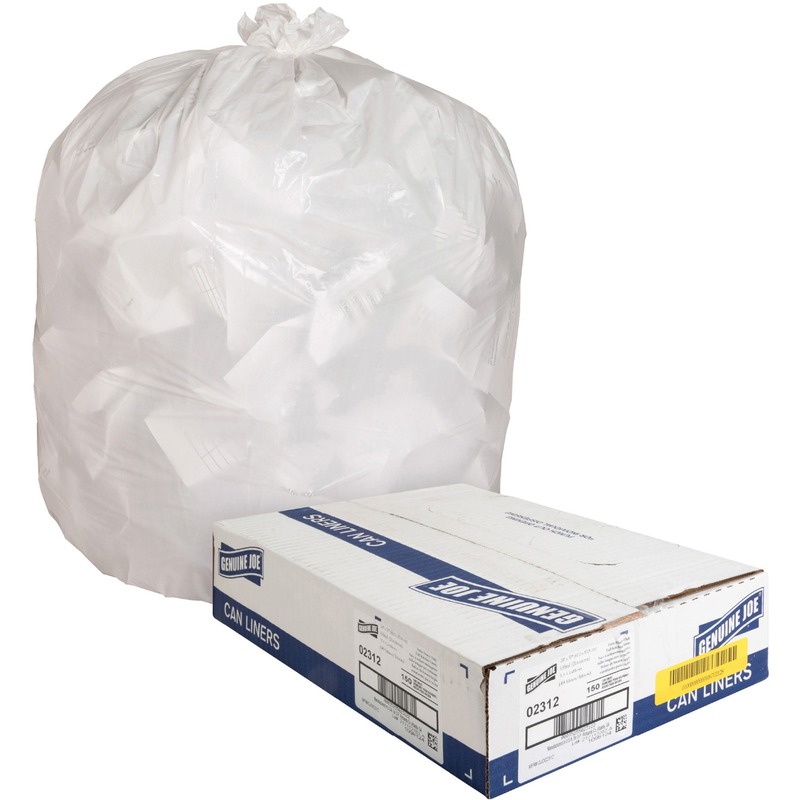 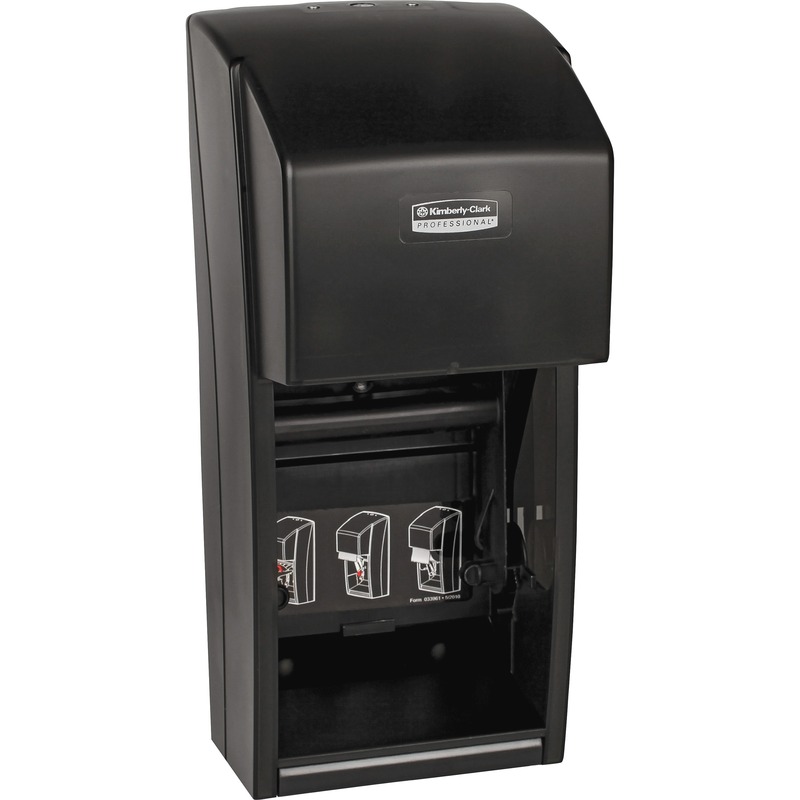 With no core, the tissue reduces waste with 100 percent elimination of core waste. 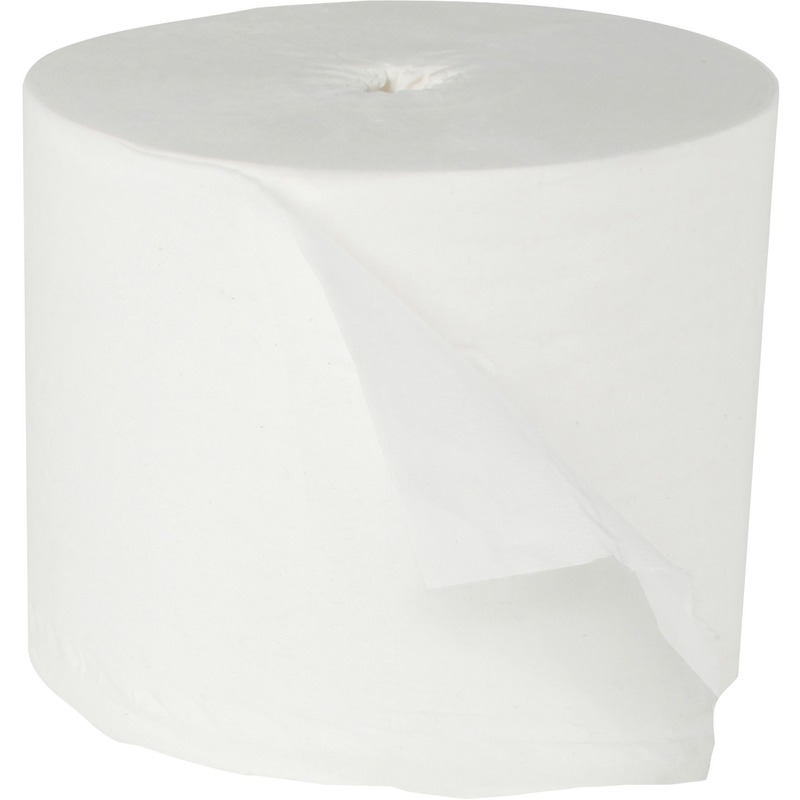 Tissue is made with elemental chlorine-free bleaching. 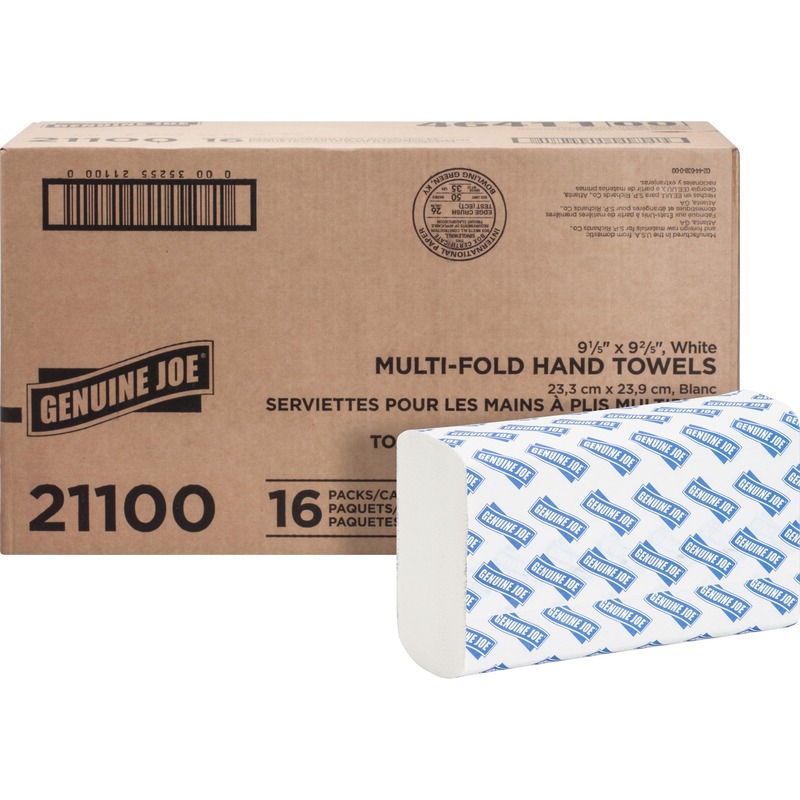 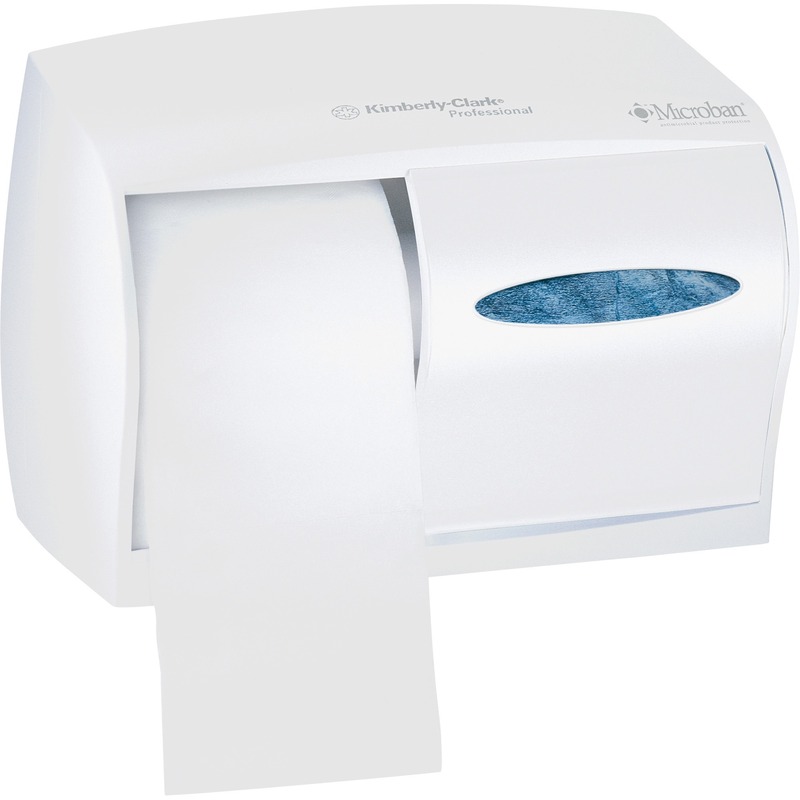 Each two-ply sheet measures 4-1/5" x 4". 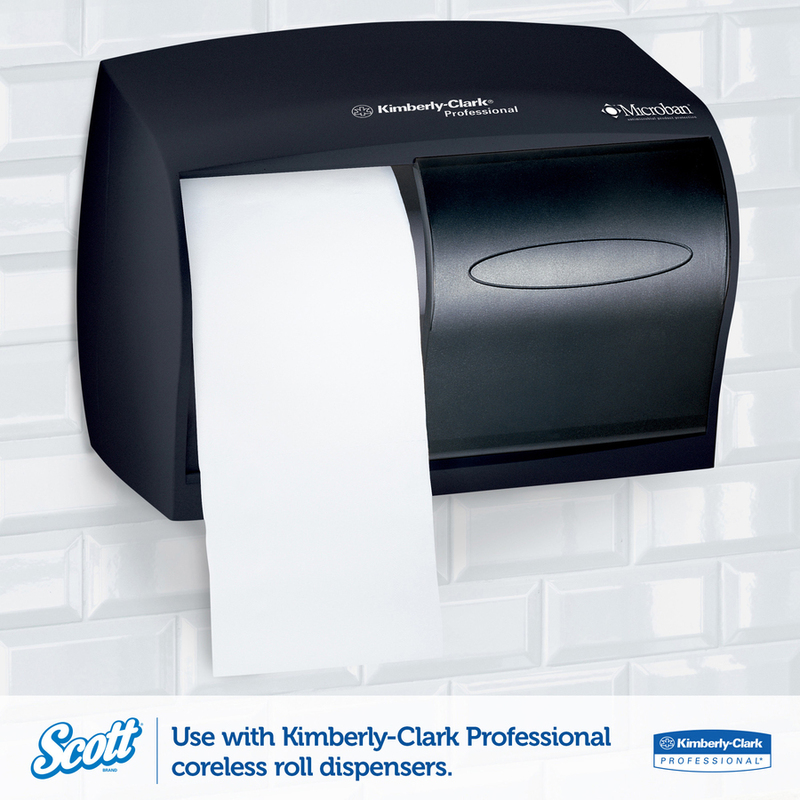 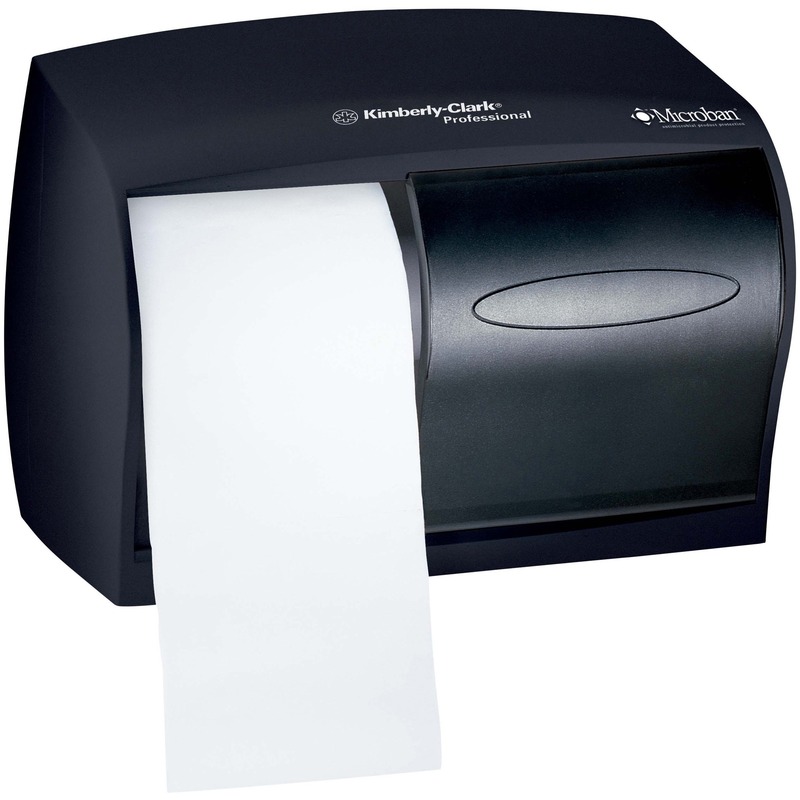 Use tissue in Kimberly-Clark Double Roll Tissue Dispenser, In-Sight Coreless Double Roll Bath Tissue Dispenser, Windows Coreless Double Roll Bath Tissue Dispenser, Coreless Double Roll Bath Tissue Dispenser and Scott Coreless Standard Roll Bathroom Tissue Adapter. 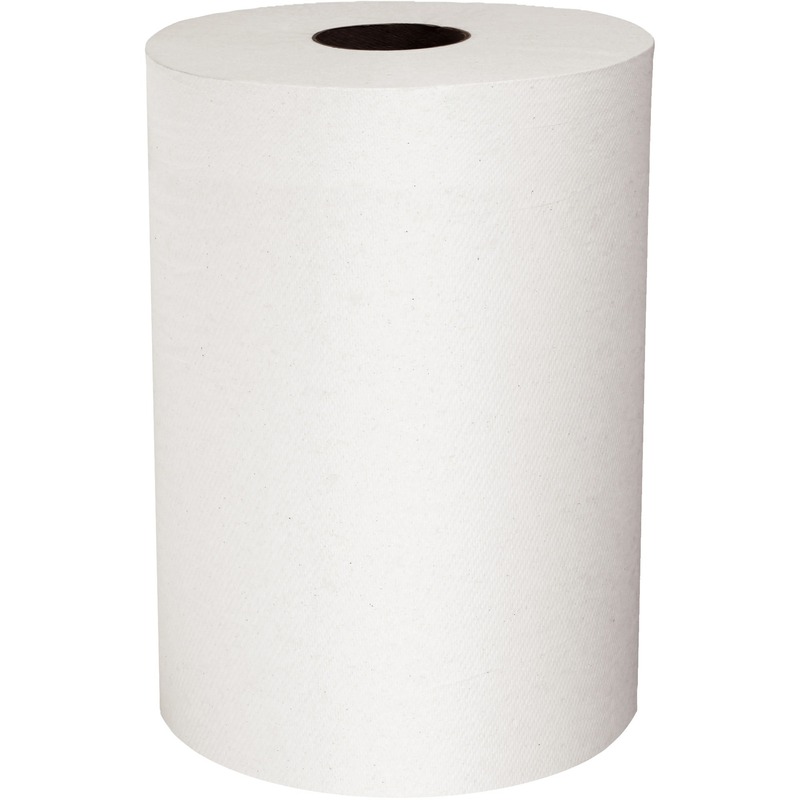 Full Size 4.40" x 4"